By Urban Beer Nerd	Beers, Culinary, Pale Ale, Reviews, Sierra Nevada Brewing Co.
Sierra Nevada makes three different kinds of mustard: Pale Ale & Honey Spice; Porter & Spicy Brown; and Stout & Stoneground mustard. 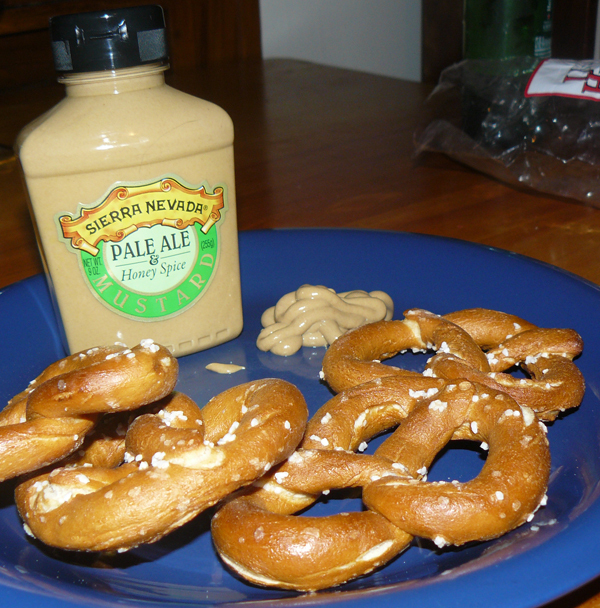 I found a bottle of the Pale Ale and honey mustard at my local craft beer shop, and today I used it as a dipping sauce for my favorite Uncle Henry handmade pretzels. The Sierra Nevada pale ale mustard is very mild; in fact, it’s more sweet than spicy, thanks to the honey. It would be a great sandwich topping, since it’s not overpowering. Like most of the “beer-flavored” products I’ve had, the mustard doesn’t really taste like beer. But it is quite good, and I definitely recommend it. I paid $4 for my 9-ounce squeeze-bottle of Sierra Nevada Pale Ale & Honey Spice, but it, along with the other two styles of Sierra mustard, is available directly from the company for $3.75 a bottle, plus shipping. 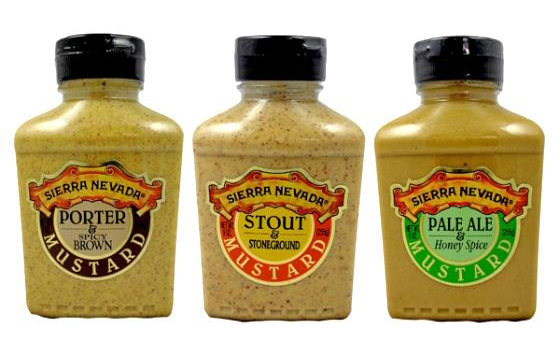 Eight-ounce glass jars of each mustard style are also available from Sierra Nevada for $3.50. And you can buy a “gift pack” of all three mustards for $14.00, plus shipping. No Russian River Framboise for a Cure (FfaC) 2016 bottles for you! Enter your email address to follow the Urban Beer Nerd blog and receive notifications of new posts by email. Add Urban Beer Nerd to your RSS Feed!